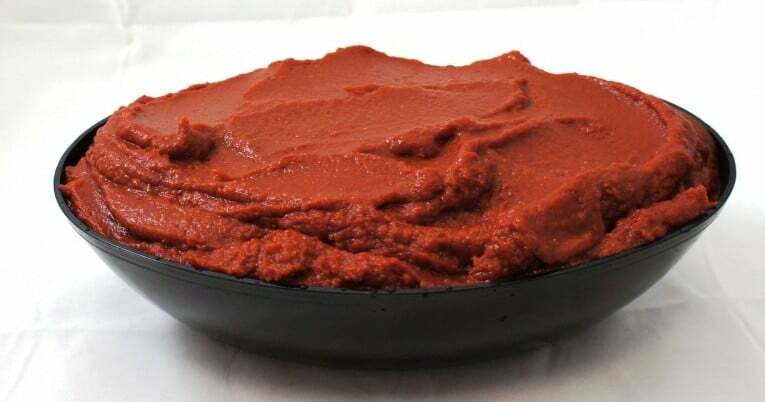 Pizza sauce with basil is prepared from tomatoes that have been washed and inspected prior to being chopped, strained and evaporated. The increased solids content of the super heavy styles gives them an almost standstill bostwick. All styles contain salt and dried leaf basil. They do not contain oil or other seasonings as the prepared pizza sauce styles do. All are hot filled to ensure commercial sterility then cooled for stacking. All styles of pizza sauce have a coarse finish.